Reebok and Montana Cans have come together for the first time to bring a fresh look to the Reebok Classic this fall. 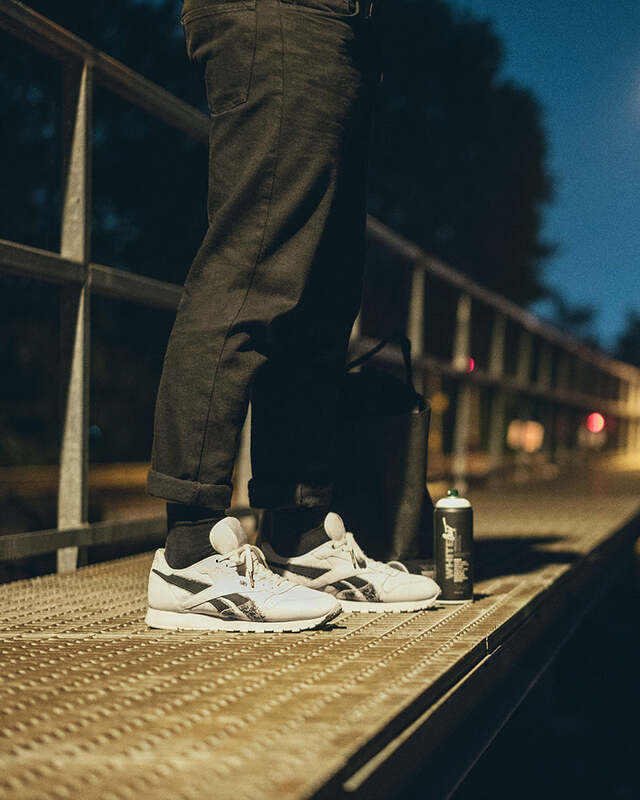 Through this partnership, the renowned German manufacturer of one of the world’s best spray paints explores the duality of light and dark using Reebok’s Classic Leather as their canvas. The ability to navigate the concrete jungle 24/7 is essential for any successful graffiti artist. The angle of the sun, or the subtle glow of the moon, will steer and define the finished artwork and dictate the rhythm of its construction. In recognition of the importance of light, both its presence and absence, Montana Cans has created this pair of contrasting Classic Leathers. The white version features a splattered black spin on Reebok’s vintage Vector logo, while carefully selected materials are a sturdy combination that never fail to grab the attention of those nearby. Cloaked in matte black nubuck, the alternative black edition showcases heels dipped in vivid white with a spray fade transition that leads to the perfect balance of rugged and refined in one sporty package. 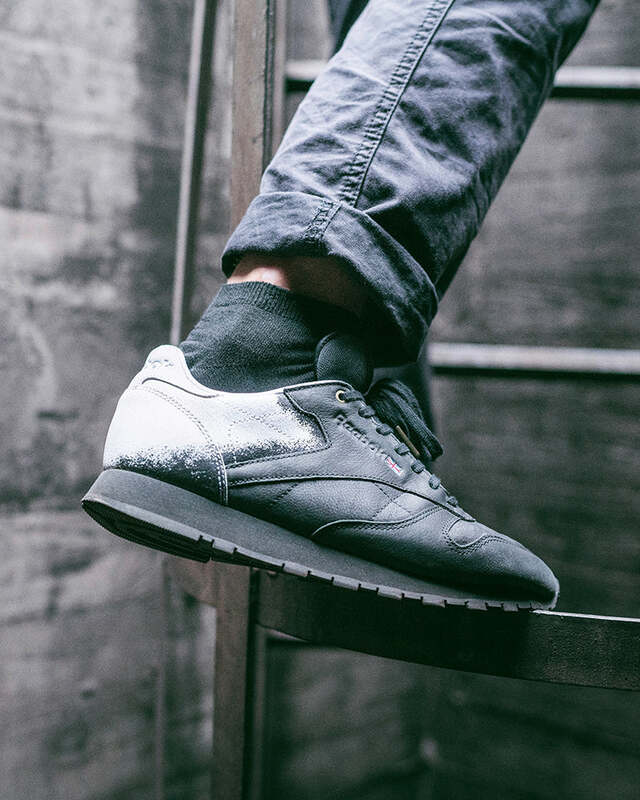 The understated aesthetic of Reebok’s Classic Leather is the ideal complement to the anonymity-prizing culture of graffiti art. 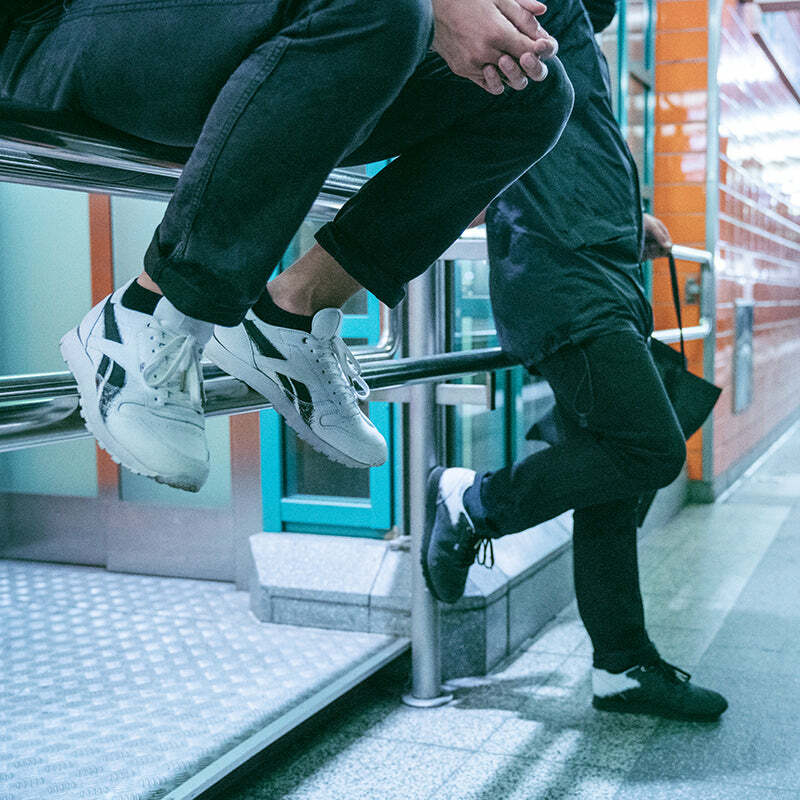 Whether creeping around at night in a train yard or darting in and out of shadows through the daytime, the soft EVA cushioning and heritage construction of the Classic Leather make it one of the most comfortable and easy-to-wear Reeboks of all time. The Reebok Classic Leather x Montana Cans will be launching ONLINE on Saturday 18th of November at 00:01GMT here.